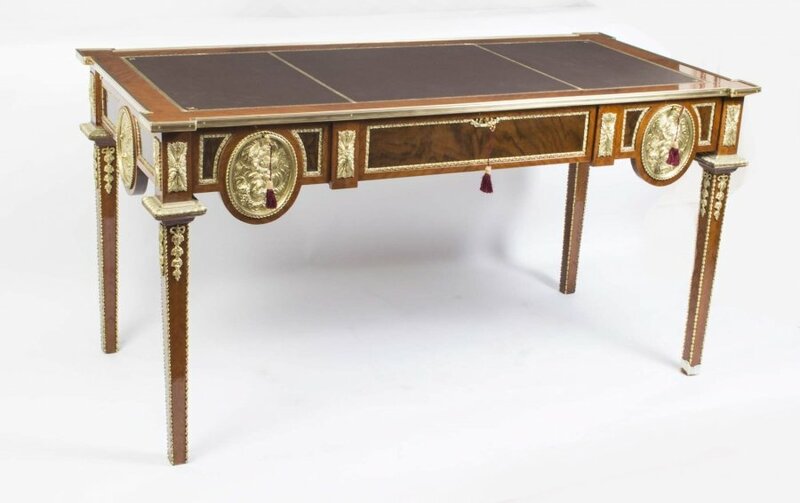 Dating from around 1880, this French Empire Desk and Chair is fashioned in flame mahogany with ormolu mounts. 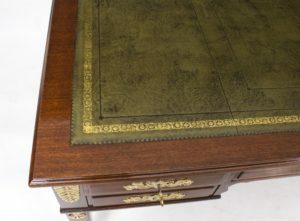 With elegant proportions this French Empire desk has an inset olive green leather rectangular writing surface that features gold tooling. The central frieze has a larger drawer and is flanked by two shorter drawers on each side. 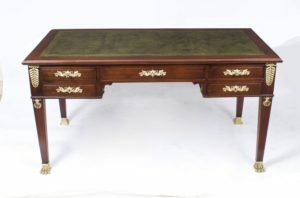 There are ‘dummy’ drawers mirrored on the opposite side, meaning this desk can be self standing in the middle of a room as well as pushed up against a wall with no loss of function. 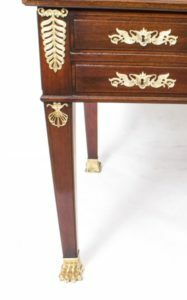 The desk stands on beautiful elegant square tapered legs with ormolu paw feet. 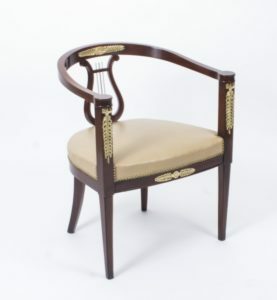 This has a lovely “U” shaped back with a decorative lyre, a cream leather seat and is raised on tapering legs. 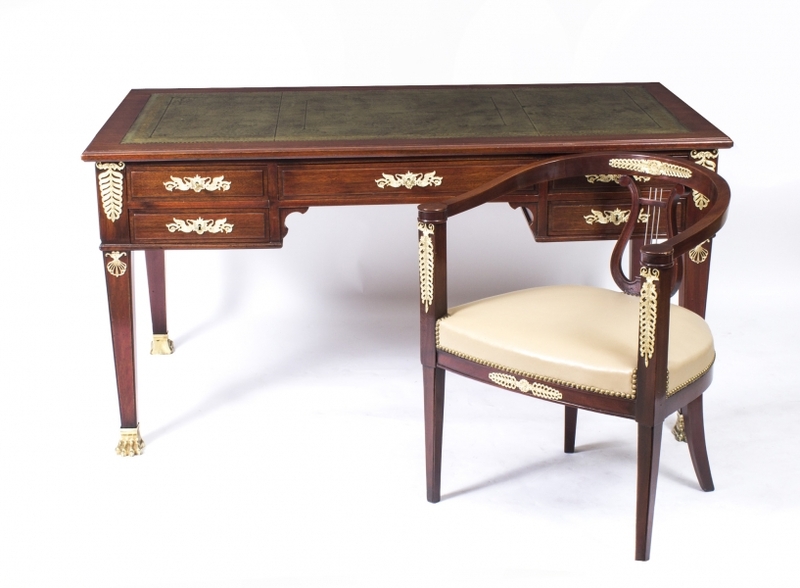 The chair is a perfect partner to the French Empire desk. 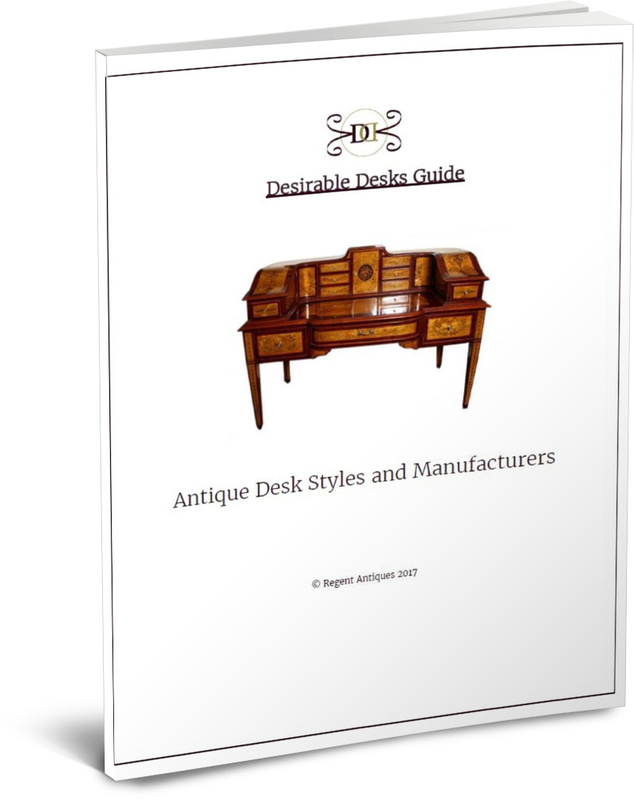 Both items have typical Empire style ormolu mounts, which include rosette and palmette mounts and swan escutcheons which when teamed with the gorgeous flame mahogany and cream leather makes for as stunningly stylish and elegant duo. They represent excellent value at £3,850. The period from May 1804 to June 1815 is known as the Empire period and is when Napoleon Bonaparte ruled France as Emperor. Napoleon, having gained his position through military and political achievements was keen to establish and legitimise his regime, and so used architects, designers and artists to produce distinctive and stunning buildings and works of art. As could be expected the period was characterised by militaristic elements using symbols of war and victory and imperial elements such as the golden eagle, laurel wreaths and classical palm leaves, all harking back to the ancient glory days of the Roman Empire and its emperors. Napoleon’s successful Egyptian campaign created a craze for Egyptian styling in France and decoration took on sphinxes, winged lions and creatures with the heads of eagles. These motifs were used as table legs and armrests on chairs. 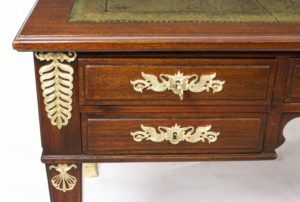 Marquetry and ormolu were used to ornament broad austere surfaces usually made in exotic woods such as mahogany. These two pieces have been beautifully restored in our workshops. Please see the photos to see the current condition for yourself. 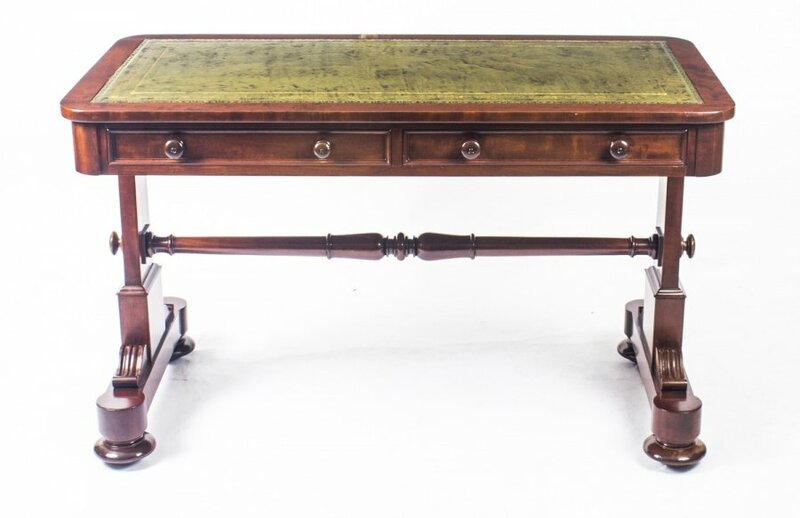 We are always delighted to arrange the viewing of our items in our North London warehouse, where you will also find a fabulous range of other desirable desks. Just email or call for an appointment on +44 20 8809 9605. 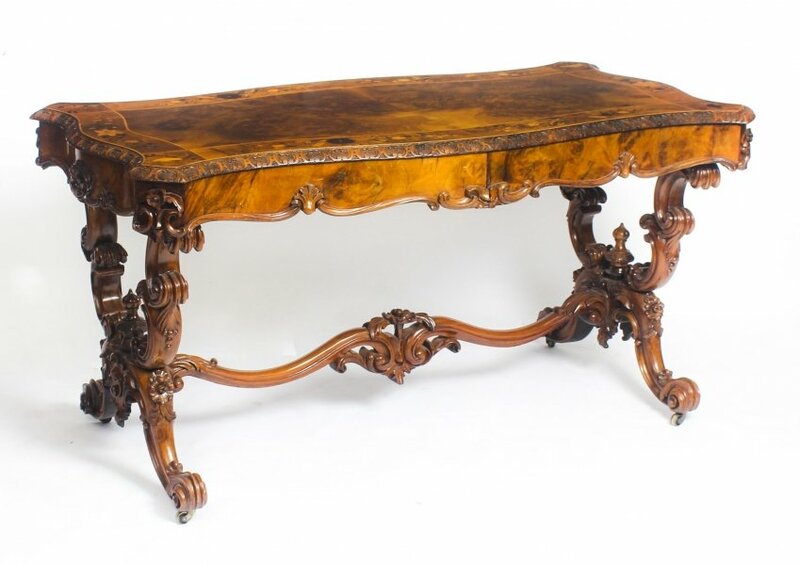 We are also very happy to answer any questions you might have about these pieces, so please do feel free to call one of our experts or email us quoting our item reference number 07966. We can pack and ship our pieces to any location worldwide. However, please call for a quotation before purchasing the items and please be aware that the buyer is liable for any import duties or taxes that are payable on items being shipped outside the European Union. We ship free of charge to any mainland UK destination.